Since the day my son was born, everyone’s been exhorting me to savor each moment, because it’s going to pass by in a blur. Well, Stephen’s been alive and kicking for precisely 18 weeks now, and tis true – I can’t quite account for where those 125 days have gone. The good news is my nerves have subsided. 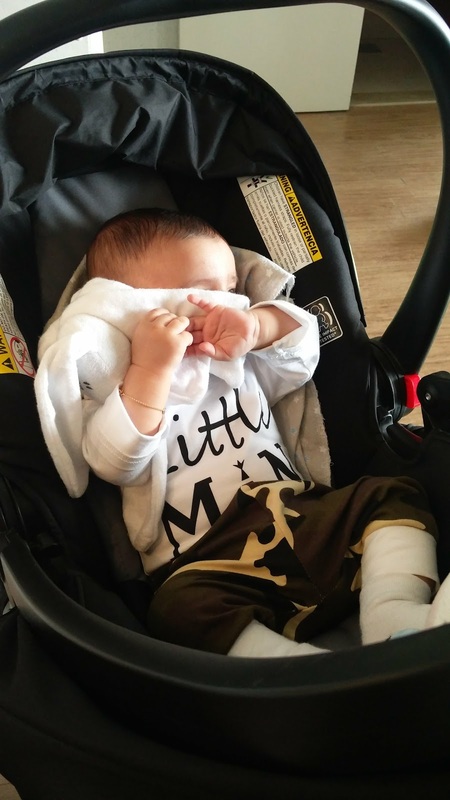 When he was merely 40 days young and we departed for Beirut from Los Angeles, I was a frenzied mess. Up until then, my mom had been helping me considerably with his bath times and evening whimpers. I was frantic every time Stephen burst out screaming or crying, but she’d reassure me it was completely normal. This is the only way infants can communicate, I learned, and though his tears have really tapered off, I still go berserk every time he bawls. In Lebanon, I’ve struggled to summon the courage to take him out on my own, unless our destination is a relative’s house, where safety and security reside. Up until last week, I’d never independently taken Stephen to the mall for fear that I wouldn’t be able to tend to his needs in a public space should he explode hysterically. To his credit, he never has. In fact, he’s supremely angelic when we're out and about. I just tend to anticipate the worst. My in-laws are the epitome of loving and attentive grandparents. Stephen’s grandmother has made a lavish ritual of bath time, creating a Jacuzzi-like environment for his daily rub-a-dub. She encourages me (implores, rather!) to leave Stephen with her when I have errands to run. My sister-in-law, too, wrestles him from all of us, posing for selfies with the little man and idolizing him on Instagram stories. To be quite honest, motherhood could not have come more naturally or enjoyably. While I understand a decent portion of mamas suffer from baby blues, my experience has heretofore been drama-free, and each day I watch Stephen in utter awe as he advances and evolves – he’s already rolling over! But what continues to elude me is how a mother can reconcile a full-time job with parenting a baby. 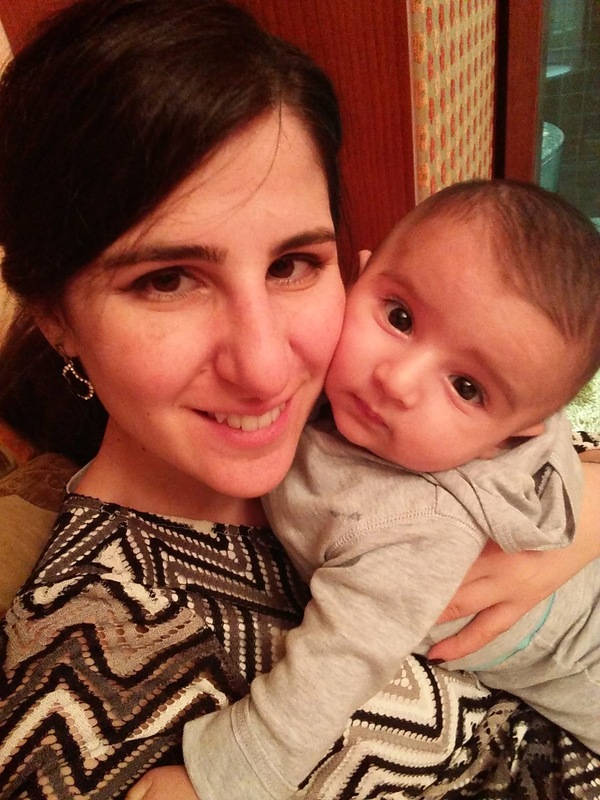 Per Lebanon’s stingy 10-week maternity leave, I was due at the office two months ago. Realistically, there was no way I could go back and be productive, so I extended my term of absence. Imagine all those precious developmental milestones I’d have missed out on being the first to witness had I been wiling away the hours at my desk. This is perhaps a mother’s largest sacrifice, juggling motherhood and career for the sake of providing for her posterity. Not all can embrace it, and I’ve been privy to many who have taken a pause from the workplace to channel parenting around the clock. Other women can’t wait to fall back into the routine of a stable job, electing to enroll their baby in child care or leaving them in the care of relatives. Each path is valid, but it depends on your “here and now” resolve. It’s a pity companies in Lebanon don’t offer on-site daycare facilities to foster family life and ease a parent’s transition back to the monitor and swivel chair. What a plight it is, and time will tell how successfully I can marry the two occupations. I'd love to hear your stories, moms and dads. How do you straddle family and profession? I am going to be blunt: Unless there is 48 hours in a day, it is extremely hard to "marry the two occupations." It's always one at the expense of the other. As a single dad, I'd decided to leave my career altogether and devote my entire time to my then young child. However, I do realize not everyone could afford to "retire" early. It sounds like you have solid family support, and that is what can make it or break it. So be thankful to your in-laws, shower them with gratitude and keep those bath-time rituals going.